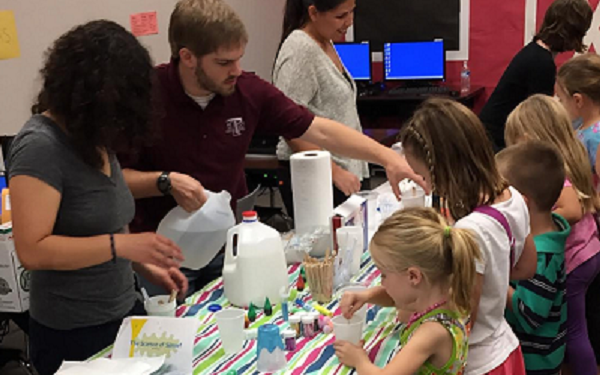 Periodically throughout the year, students from the lab go out to local elementary schools in order to put on a chemistry show. Demonstrations include paper chromatography of ink, polymerization of borax and glue (making a slime), magnetic slime, and magic sand. 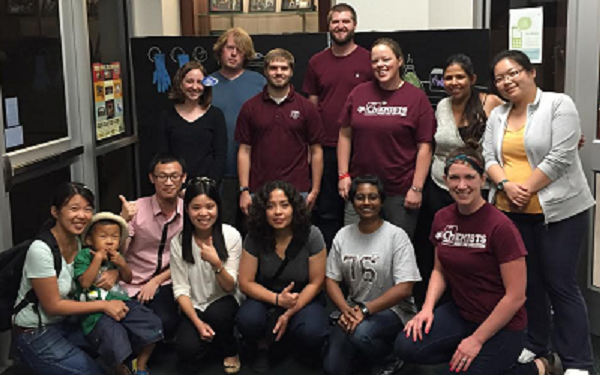 Every year, during National Chemistry Week, the Texas A&M Chemistry department has an open house, inviting members of the community, especially young students, to come and explore the world of chemistry. 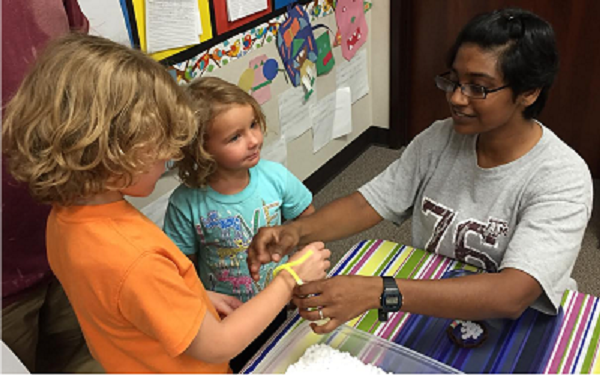 Our group actively participates with the open house by running stations where students get to experience hands-on experiments, including polymer smoothies, ferrofluids, and UV fluorescent nail polish. 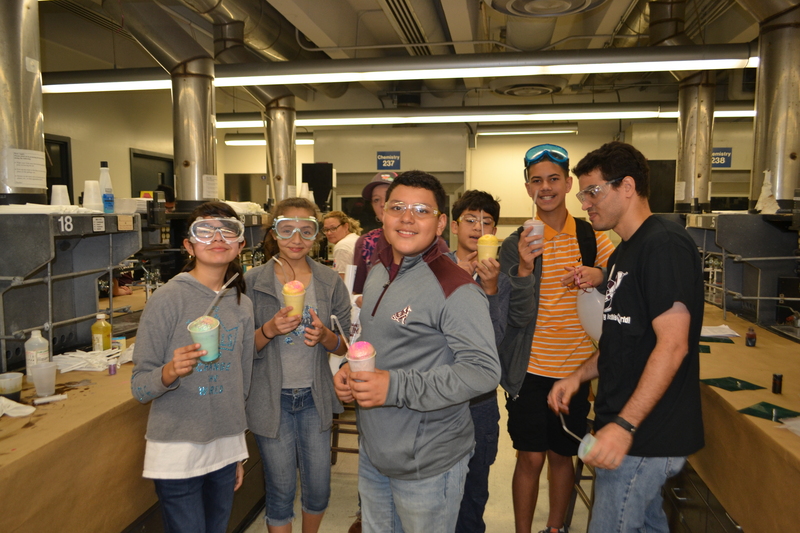 Each spring, our students design, troubleshoot, run, and grade the chemistry lab event for the Texas state competition of Science Olympiad. This past year’s lab tested students’ knowledge of the ideal gas law. They applied the ideal gas law to determine the stoichiometry of an unknown metal compound. The Chemistry Open House features the popular Chemistry Road Show, guided lab tours, hands-on and computer activities, door prizes and science goodie bags. The Chemistry Road Show is recommended for all ages and includes demonstrations of popular science. Participants include the Departments of Biology and Physics & Astronomy, students from the Dwight Look College of Engineering and SACNAS, and the Brazos Valley Museum of Natural History.